Freightliner Custom Chassis owners have access to the industry’s largest service network, comprised of more than 450 Freightliner-branded service locations throughout North America. 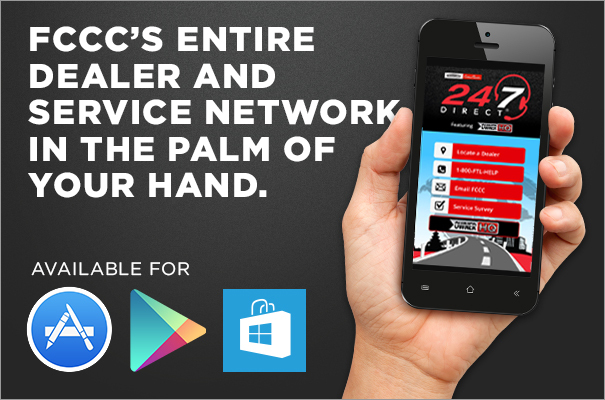 Simply enter your location below, and we’ll help you find a dealer in our service network. FCCC proudly partners with Alliance Truck Parts to ensure you have nationwide access to new and remanufactured parts while you’re on the road. Are you a new owner of an FCCC WIV chassis? Find your owner's manual here.